Nós do Morro (Us from the Hillside) is a community based theatre company and school based in the Vidigal[i] Morro, one of the largest favelas (shanty towns) in Rio de Janeiro, Brazil. Perched on a hillside overlooking the rich districts of Leblon and Ipanema, with fantastic views of the Atlantic Ocean, is the house where Nós do Morro has trained actors, technicians and other art professionals. Founded in 1986, it has over 350 participants, among them children, youngsters and adults who reside in the Vidigal Morro. In over twenty-five years, most of which relying on their meager finances, Nós do Morro consolidated its roots in the heart of Vidigal while also achieving recognition nationally and internationally. While Cicely finds a fabulous zest for life in the favelas, it cannot be denied that they are dangerous places where drug culture is rife and work is scarce. Despite all this, Nós do Morro produced many plays where the favela is at once the stage, the protagonist, and theme. Plays such as Encontros (1987), Biroska (1989), Abalou – Um Musical Funk (1997), É Proibido Brincar (1998), and Noites do Vidigal (2002) describe the every day reality in Vidigal. In these plays, the favela represents more than just the backdrop: it becomes an aesthetic language that challenges the outside discourse which always depicted the favela and its inhabitants in negative terms. With Nós do Morro, the favela found its way to present its own discourse from the inside-out. Inspired by Fraga’s faith in the ability of performance as an agent of social change, the company has produced a versatile repertoire of plays and audiovisual productions, achieving significant public recognition. They earned international respect with the movie City of God (2002), Brazil’s most successful film internationally. Forty-two actors from Nós do Morro created some of the hardest-hitting scenes in a violent, graphic depiction of the evolution of the drug trade in a Rio favela. The company’s success led to important partnerships such as Petrobrás and the British Council, the latter becoming a decisive path towards the group’s successful association with Shakespeare. The syntony of Nós do Morro with Shakespeare became evident to Cecily Berry during a dramatic reading of Hamlet at the Fórum Shakespeare project, in 1995. Since then she has been collaborating regularly with the company, bringing with her the philosophy that “Where words prevail not, violence prevails”[ix]. 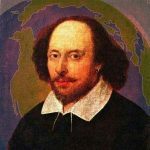 Shakespeare’s plays are indeed an open invitation to experiment and a fantastic chance to “hear a thousand things through other tongues”. Nós do Morro adds a fresh vibrance to Shakespeare’s plays through the voices of the samba school that originated in the favelas, the effervescence of street theatre, and the ingenious and colorful settings. Not afraid to appropriate the English playwright, they transpose him into their local reality, while declaring such appropriations as “intromissions”. Their first stage adaptation of Shakespeare, Sonho de uma Noite de Verão: uma Intromissão do Nós do Morro no Mundo de Shakespeare (Midsummer Night’s Dream: an Intromission from Nós do Morro in Shakespeare’s World), directed by Fernando Mello da Costa (2005), began with an inside joke: a group of amateur actors rehearse to perform for the court, an unambiguous parallel to Nós do Morro’s history. Drawing on the theme of social exclusion and subversion in Midsummer Night’s Dream, Nós do Morro’s production establishes a parallel between the “rude mechanicals” in early modern England[x] and the trash pickers in modern Brazil. The creative set uses recycled materials such as ropes, handkerchiefs, bottles and other objects, and the festive mood is supported by the music played and sung by the actors. Soon after Midsummer, Nós do Morro was invited for a workshop with The Royal Shakespeare Company. A year later (2006) they returned to Stratford-upon-Avon to perform The Two Gentlemen of Verona (directed by Guti Fraga) at the Complete Works Festival. Performing without props or sets, the actors put on a vibrant show playing furniture, buildings and walls. The performance was punctuated by Brazilian music and capoeira[xi] which helped situate the play in Brazil. In 2008, the group was invited to return to England to perform at the Barbican Theatre. Receiving both critic and public acclaim in England and in Brazil, it had now become clear that Nós do Morro managed to transcend the limits and stereotypes of the map and offer alternative configurations to the theatrical and human landscape of Rio de Janeiro. They have decisively inscribed themselves into the History of Brazilian Theatre. Since 1986, Nós do Morro has presented over 35 plays sustaining the mission of providing young people with an opportunity to experience culture, art and citizenship though the theatre and visual arts. Their Audiovisual Centre has produced four short films written by young people, winning international awards in France and Brazil. Many of its actors have appeared in Brazilian TV series, soap operas and movies. [i] Vidigal was “pacified” in November, 2011. The policy of pacification tries to establish state control in areas that were previously controlled by armed drug traffickers. [iii] Marques, Laura. Guti Fraga fundador do Grupo Nós do Morro, no Vidigal (Guti Fraga, founder of Nós do Morro, at Vidigal). Digital image. O Globo. O Globo. 1 March. 2012. Web. 6 November. 2012. <http://oglobo.globo.com/zona-sul/um-sonho-que-deu-certo-4111140 >. [iv] Cidade partida (split city) is a term coined by journalist Zuenir Ventura in 1994 to designate the socioeconomic structure of Rio de Janeiro. In this view, Rio de Janeiro is seen as socially and culturally split in two distinct geographic areas: the “morro” and the “asfalto”, with limited social and cultural permeability between the two. Morro refers to the shanty towns on the hillside, whereas asfalto (tarmac) refers to the urban areas where the upper classes live. In recent years, however, there have been many successful attempts to promote the transit of artistic and cultural productions from the favela to other sectors of society and confront this historical exclusion. Nós do Morro is a successful example of this movement. [x] See, for example, “A Kingdom of Shadows” by Dorothea Kehler, Midsummer Night’s Dream: Critical Essays. (New York and London: Routledge, 1998) pp 217-240. [xi] Capoeira is a Brazilian Martial art that combines elements of dance and music. It originated with enslaved Africans who wanted to devise a method of disguising their training by combining it with dance-like movements, singing and musical instruments such as berimbau. Capoeira became a symbol of resistance to the oppression and is considered a cultural heritage of Brazil.